Best of Breed and Reserve Show Champion at The National 2014. Simon York's Yellow Dutch cockerel. Photo By Rupert Stephenson. 1st Dutch Trio. PJ & PAB Parsons' Yellow Dutch. Photo By Richard Morris. 1st Silver Dutch male. Nicky Demaine. Photo By J Dowrick. 1st Blue Partridge female. Sol Pullen. Photo By Ian Wileman. 1st Black Dutch male. Jason Kestell. Photo By J Dowrick. 1st AOC Non Standard male. Richard Miller. Photo By C Jones. Best Gold Dutch & Reserve BoB. Olivia Parson's Gold Female. Photo By J Parsons. Best Silver Dutch. Rosie Parson's Silver Female. Photo By J Dowrick. Best Black. Sandy Vaughan's Black Female. Photo By J Dowrick. 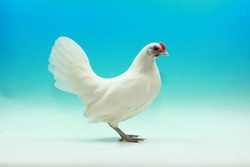 Best Blue Partridge. Jenny Howl's Blue Partridge Male. Photo By J Dowrick. Best White. Jane English's White Female. Photo By I Wileman. Best Pyle. Eugene Mallon's Pyle Female. Photo By J Dowrick. Best AOC Standard. Cennyd Jones' Crele Male. Photo By J Dowrick. Best AOC Non Standard. 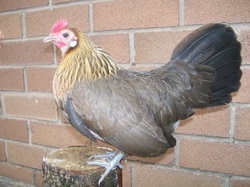 Nicky Demaine's Milliefleur female. Photo By J Dowrick. 1st Gold Dutch male. Darren Gillespie. Photo By J Dowrick. 1st Yellow Dutch female. Simon Patel. Photo By J Dowrick. 1st AOC Standard female. Photo By J Dowrick.